On January 30, 2019, the Akhil Bharat Hindu Mahasabha in Aligarh, Utter Pradesh, shot at an effigy of Gandhi with an air pistol, before setting it on fire. It was Gandhi’s 71st death anniversary, mourned in India as Martyr’s Day. The Mahasabha staged Gandhi’s murder in 1948 by Nathuram Godse, and celebrated it as ‘Shaurya Divas’, or Bravery Day. This symbolic killing of Gandhi was carried out by the national secretary of the organisation, Puja Shakun Pandey. 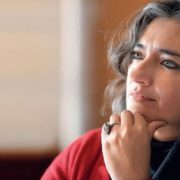 Speaking to the media, Ms Pandey compared the act of mock assassination to the burning of Ravana, the demon-king from the Ramayana, during the festival of Dussehra. To members of the outfit, Gandhi’s crime was unpardonable: he was responsible for Partition. In a video gone viral on social media, a group of men chant, “Mahatma Nathuram Godse, Amar Rahe” (Mahatma Nathuram Godse, long live), as Ms. Pandey shoots on Gandhi’s effigy and red liquid pours down from the effigy draped in white cloth. It is followed by chants of, “Akhil Bharat Hindu Mahasabha, Zindabad, Zindabad”, and repeat praises for ‘Mahatma’ Nathuram Godse. As the effigy burns, a man’s voice can be heard in Hindi, “Gandhiji is left alone, and burns alone.” Another man wearing a saffron muffler, asks the surrounding men to repeat after him, “Ram Naam Satya Hai, Gandhiji Mrit hai” (The name of Ram is true, Gandhiji id dead). The figure of Gandhi is subjected to a posthumous funeral, as if damned to eternal political oblivion. This theatre of humiliation and political fantasy isn’t strange or surprising. The Hindu Right has been viciously averse to Gandhi and his politics. They lampooned him, and spread rumours about him, including his birth and parentage. The jokes on Gandhi, that his politics is another name for desperate helplessness, and that he was clever enough to not wear the topi named after him (wearing the topi symbolising gullibility), probably come from the same propaganda machinery. I heard these rumours and jokes while growing up, at home. I found them funny, but by a stroke of luck, did not take them seriously. The moment you let your critical and ethical defences down, the right-wing waits to pounce upon you and raid your sensibilities. Despite the ideological propensities of the Hindu Right, it is disgraceful, to hear and watch Gandhi’s figure being put to a show of unbearable crassness. Such attempt to degrade Gandhi publicly has probably never been seen in India. Let us pause to read the signs the event violently throws at us. These are signs that Hindu outfits hope to translate into meanings in the popular psyche. 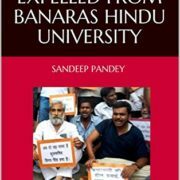 For Ambedkar, any ‘Mahatma’ has to fulfil the social role of eradicating discriminatory social practices. In his reply to Gandhi’s criticism of his undelivered speech, The Annihilation of Caste, Ambedkar pulls up Gandhi severely for vindicating the “archaic social structure of the Hindus”. 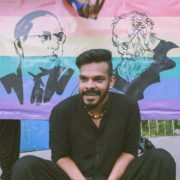 He calls Gandhi “the most influential apologist” of the caste system “and therefore the worst enemy of the Hindus.” Gandhi was sensitive to the issue of untouchability, but did not measure up to the radical demand Ambedkar made of him. In contrast, by calling Godse, ‘Mahatma’, the Hindu outfit wants to politically appropriate the religious aura associated with the term, ‘Mahatma’. 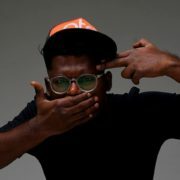 The outfit is trying to mythicise Godse, and legitimise his character and his act of violence, all at once. 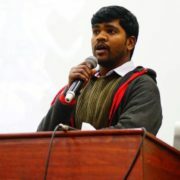 This devious move to denigrate Gandhi and eulogise his murderer by conferring the title ‘Mahatma’ on him, is an attempt to subvert and replace the values Gandhi stood for, with their opposites: nonviolence with violence, love with hate, principled negotiation with intimidation, and minoritarian concerns with majoritarian highhandedness. To assert that a murderer is ‘Mahatma’ is to destabilise the idea of an ethical personality. In this revised, Right-wing version, ‘Mahatma’ becomes symbolic not of sensitivity but insensitivity, not of kindness but power. This dangerous play with meanings around ‘Mahatma’, offers a scary idea of the kind of figures that may get valorised in the future, under the auspices of the current political regime. Lip service paid to Gandhi as the inspiration behind campaigns like ‘Swachh Bharat mission’ works perfectly in this moment of political manoeuvre. This gesture serves apolitical cause for the BJP to flaunt its acceptance of Gandhi. But it is cleverly limited to endorsing Gandhi’s mostnonpolitical aspect of cleanliness. In the carefully crafted language of political semiotics, Gandhi, the champion of cleanliness, has been reduced to his hollow spectacles, a sign of erasure. There is no occasion to remember, Gandhi picking up with his own hands the human excrement that greeted him in the streets of Noakhali during the summer of 1946. Gandhi’s idea of cleanliness was part of his politics of reconciliation that he displayed under adverse circumstances. 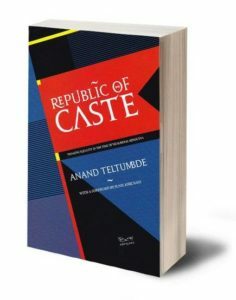 On the other hand, Dalit scholar, Anand Teltumbde, speaking to the Indian Writers Forum on his 2016 book, The Republic of Caste, reminds us what is lacking in the campaign: “Swachh Bharat is not possible without the annihilation of caste.” To fuse the environmental aspect of the project with the social is to infuse a political point into this discourse (and rhetoric) of cleanliness. Any project of cleaning up the environment in India will bring to mind the necessity to clean up its social and communal mess as well. 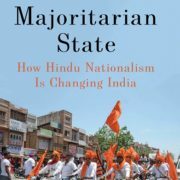 Without integrating concerns of the natural environment with the social and political, would allow the ‘Swachh Bharat mission’ to remain within the hollow manoeuvres of majoritarian politics. The ridicule of Gandhi by the Hindu Right has an ironical side. The impression that Gandhi was a weak political figure pandering to Muslim sentiments led Godse to put Gandhi to death. 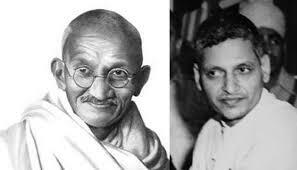 If Godse betrayed a sense of bravado, Gandhi, by risking death nonviolently, displayed fearlessness. If Gandhi was weak, what prompted the urgent need to kill him? In politics, you do not kill weak enemies. The murder of Gandhi, as much as the burning of his effigy, reveals the irony that the political forces that killed him inhabit the politics they associate with Gandhi: a remarkable lack of strength, and a clear sign of desperate helplessness. The attempt to demonise Gandhi and sacralise the man who killed him is however, a deeply worrying sign for India’s polity. The burning of Gandhi effigy is a political motive to invert the symbols of good and evil, right and wrong, and create moral confusion in the social sphere. It is an attempt to forcibly establish a new morality into the nation’s psyche. 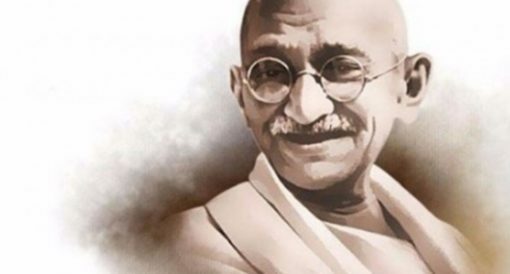 What the incident managed to evoke is revulsion and alarm, even among people who are critical of Gandhi and who do not hold him to be a ‘Mahatma’. Burning effigies can’t – and won’t – kill Gandhi.